Our house has been getting quite the transformation lately. We are in the process of refreshing the (IMHO) ugly exterior into something we’ll love. The photo on the left below is our house when we bought it. As you can see, a lot has changed already. That HORRIBLE monster hedge was eradicated back in 2011 (the photo on the right). And in preparation for this paint job, the hedges touching the house were all removed. This was our house this morning. 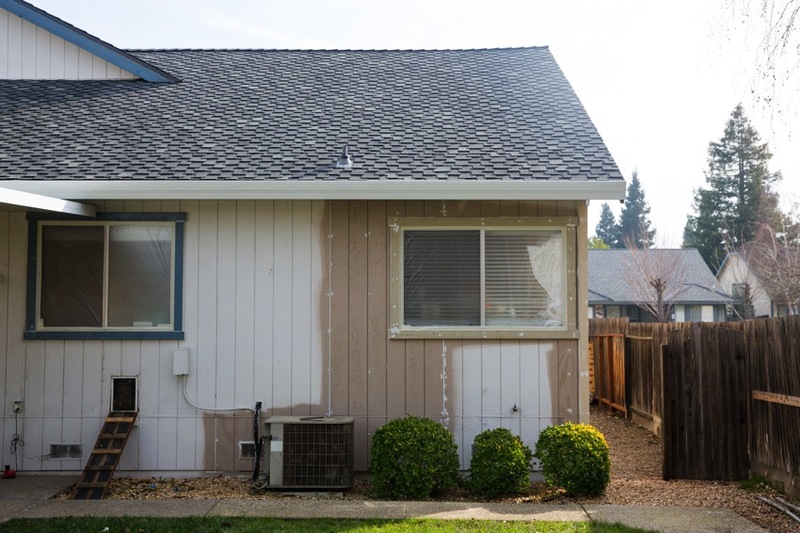 Our painters have been hard at work for the past few weeks removing a ton of dry rot and re-siding a majority of the house. The brownish color is a primer to protect the raw wood from the rain. Here is a shot from the backyard. A future project is converting the side-yard into a garden with raised planter bed. That side gets a TON of sunlight (hence all the damage and repair) so it would be perfect for a small veggie garden. This is the house this evening! The primer is up in a shade very close to the final paint color. 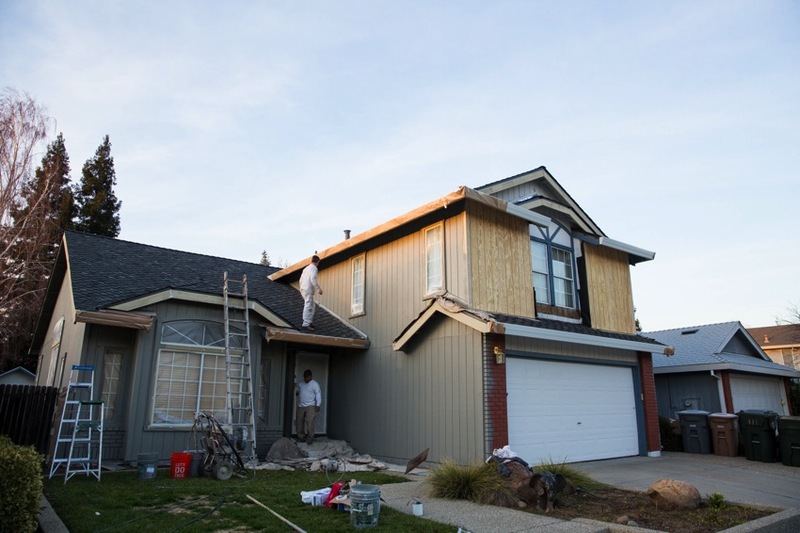 We decided to go with a medium gray with clean white trim. It will be a little less yellowish than the color pictured here. I’m really loving the look of the darker color. Our next task is selecting the final color for the door. 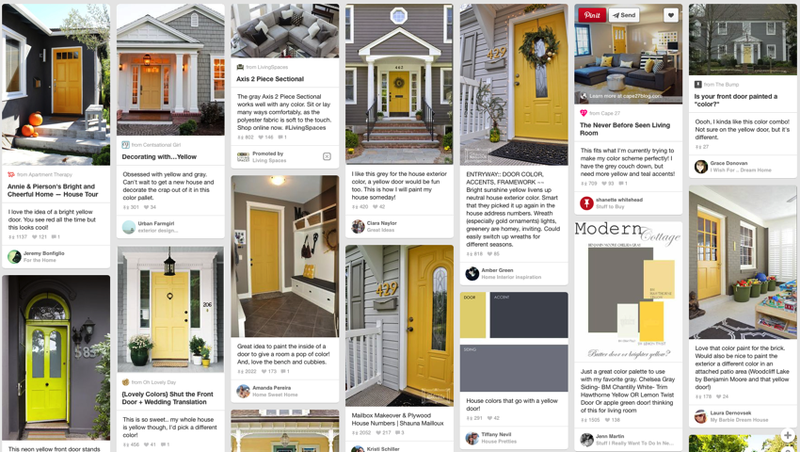 I have always LOVED the idea of a really fun color for the door, especially against a neutral like the gray. Geoff and I have narrowed it down to two colors. I really love a bright aqua blue and Geoff is leaning towards yellow. What do you think? 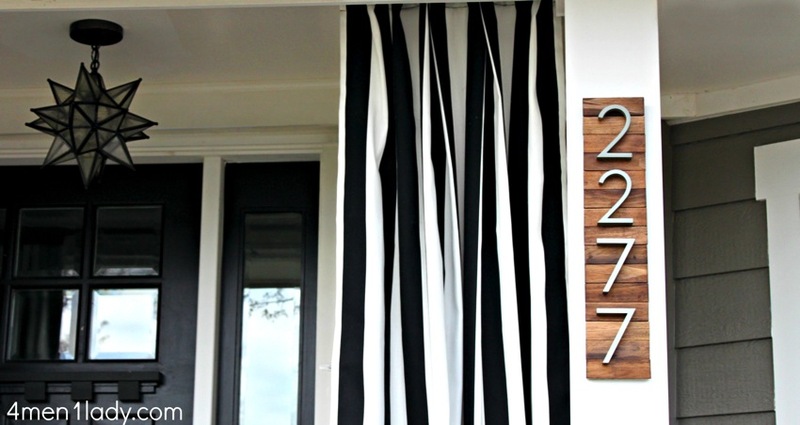 Below are some search results from Pinterest to get an idea of the looks we are going for. 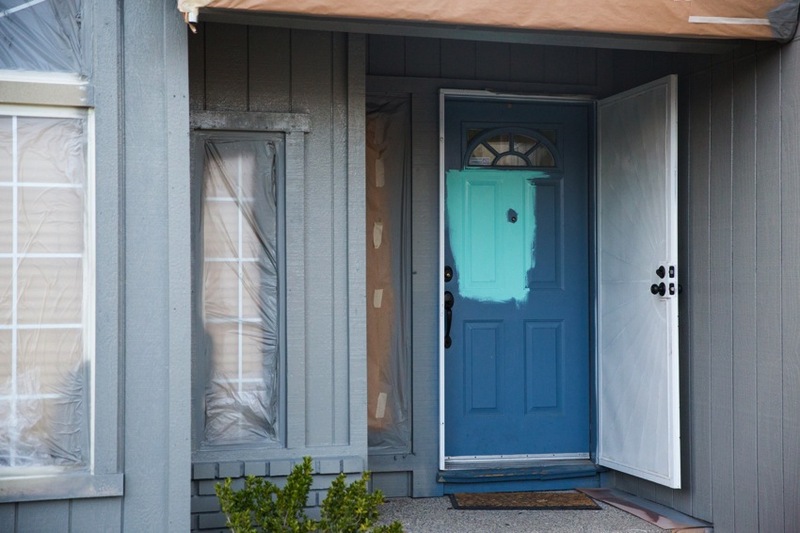 We picked up some sample paint today and tested it out on the door. I’m loving it! Our painter thinks we are crazy. Geoff still wants to try out a sample of the yellow, so we will do that next. 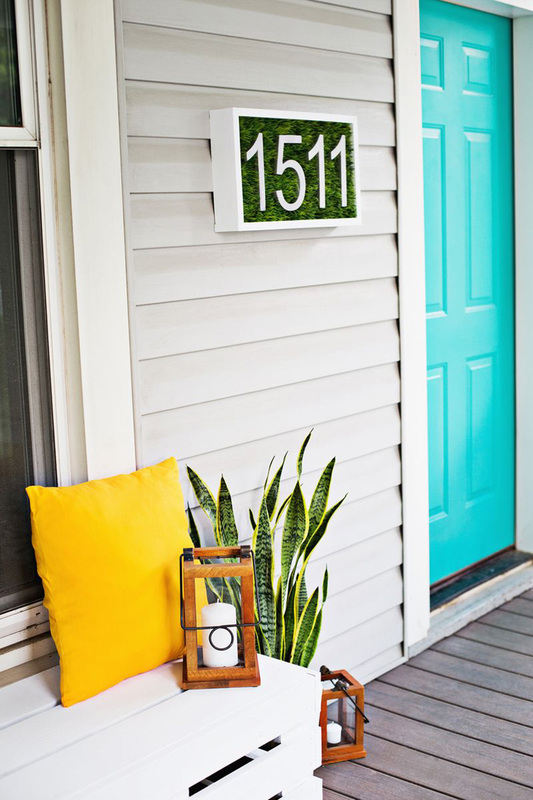 I love a modern aesthetic and I want to accent the house with some colorful planters with maybe some palms for the front yard around the house.I love this colorful porch from A Beautiful Mess. THAT is a bright blue door! 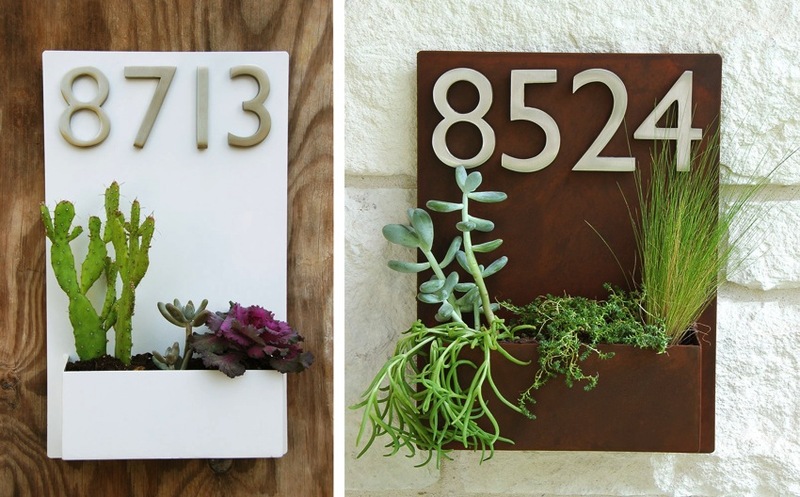 Although, since we have to display our house numbers vertically and we have already purchased these same house numbers, maybe we will do something like this. 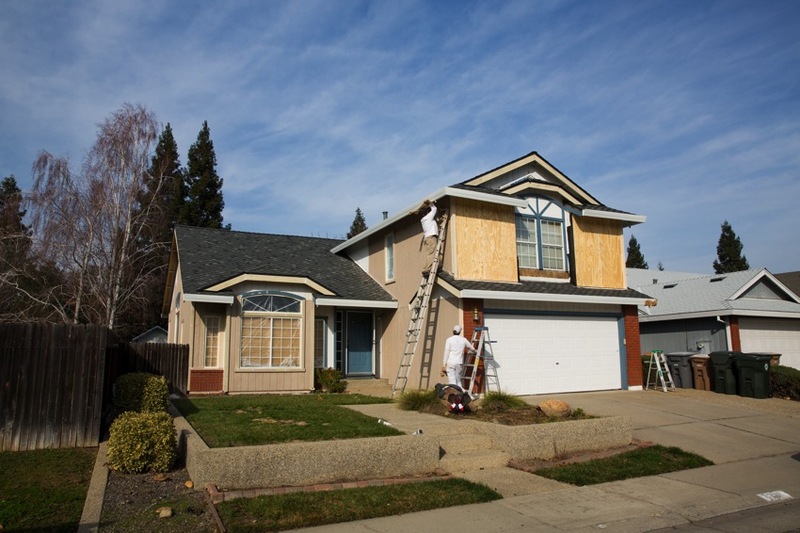 Maybe we will stick out like a sore thumb in our ordinary suburban neighborhood, but so what? As long as we love it, that is all that matters. Plus these are all things that can be easily removed or changed should we ever decide to sell. In all honesty we long for an old place with character in downtown or midtown Sacramento, but until then we’ll work on making this house the place we want. 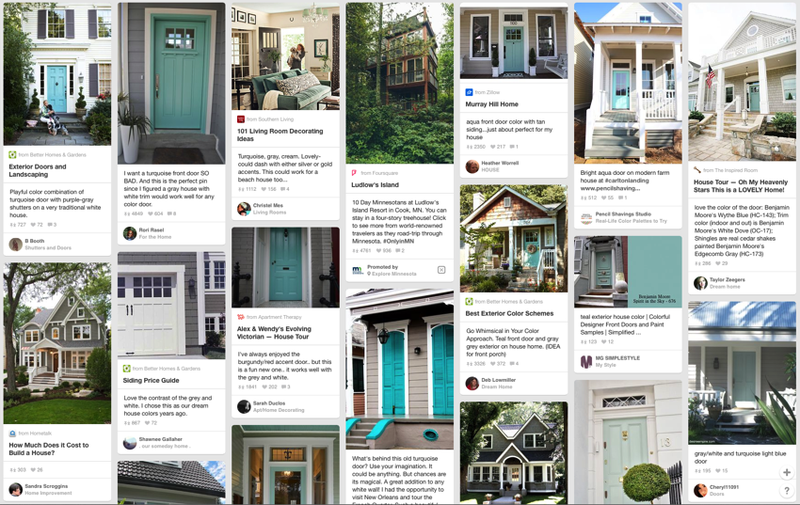 i LOVE a brightly colored door! i painted ours a bright ocean blue just a few days after we moved in, and i smile every time i see it. can’t wait to see what you choose. I usually prefer Blue/Aqua but I have to side with Geoff on this one. 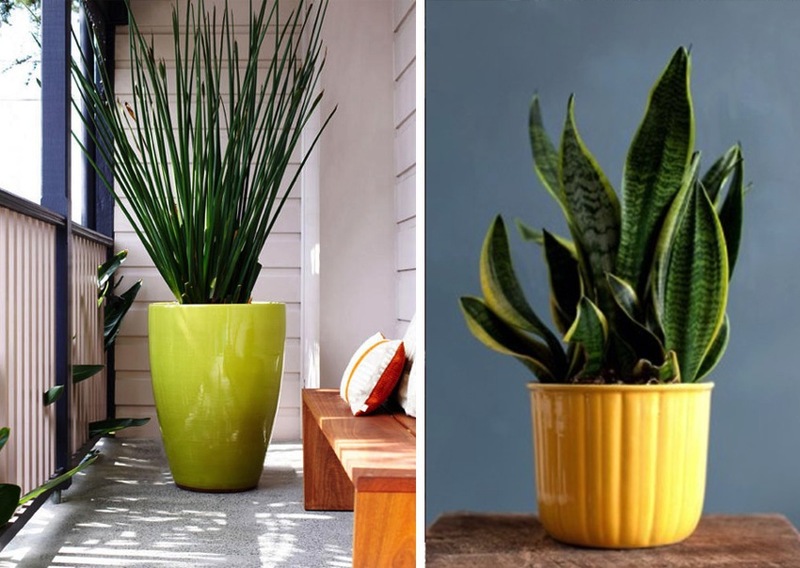 I think yellow is pretty with grey and it goes with the green/yellow tones you have inside your house too. I’m sure either will be pretty though. 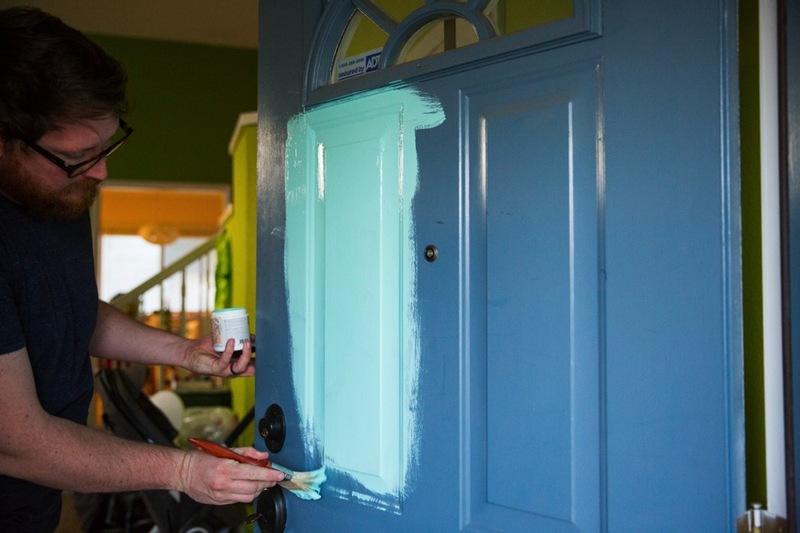 We are thinking of a royal blue for our front door ala the tardis from Doctor Who so we won’t judge you for bright colors in suburbia. 🙂 Also, my childhood home was bright blue and I loved being able to direct people to the big blue house. Sorry Geoff! Gotta go with Lisa on the Blue. You’ve gotta make it BRIGHT like the 1151 pic…but of course you would :). 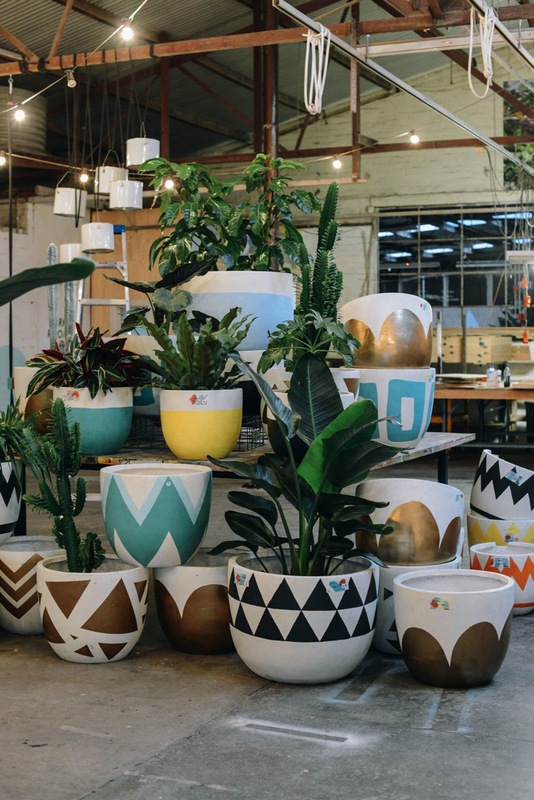 I really like the idea of those yellow glazed pots alongside the door, though. If you reversed the colors (yellow door, blue pots) I don’t think the combo would work as well. Great work! Not at all sure HOW you find the time!